Don’t you just L-O-V-E strolling through a charming shop! You can’t deny Home Depot and other big chain stores have almost everything you need. However, I’m sure you’ll agree, there’s a totally different ‘vibe’ browsing a lavender-scented shop showcasing lovingly hand-painted one-of-a-kind items. Add some antiques adorned with vintage linens, scented candles, charming bird houses, and paper butterflies, and voilà, a perfect creative atmosphere! 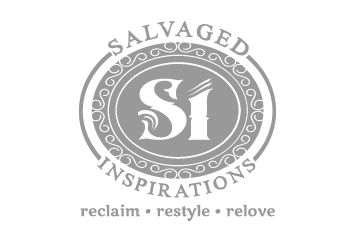 … I’m dying to try Milk Paint! 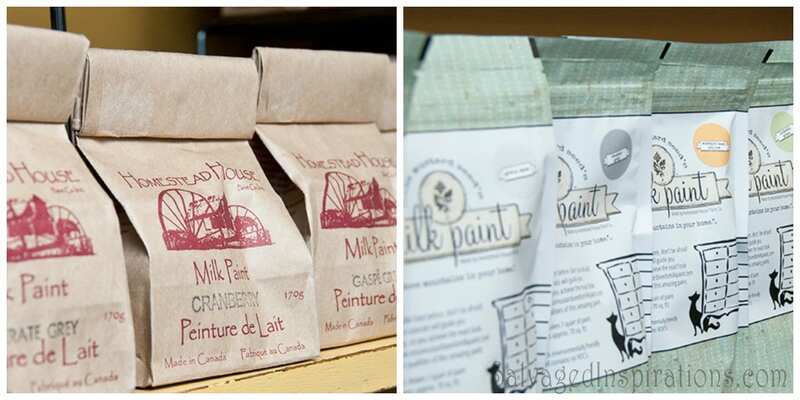 The perfect place to shop for fabric and paint is Ottawa Street in Hamilton, ON. 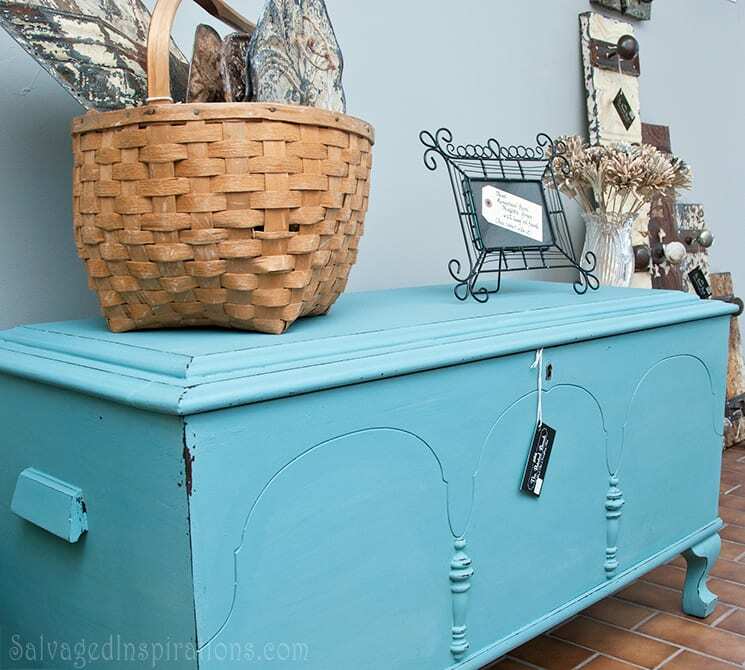 The Painted Bench is located on 208 Ottawa St. Nrth and stocks Annie Sloan Chalk Paint, Homestead House Paints and Miss Mustard Seed’s Milk Paint. Nicole & Melanie (owners) are generous with their time and will answer any questions you may have before making a purchase. I opted for Miss Mustard Seed’s “Tricycle” and Homestead House “Niagara Green”… I’m excited to give both a try! I’ll post a Milk Paint 101 showing my results!! 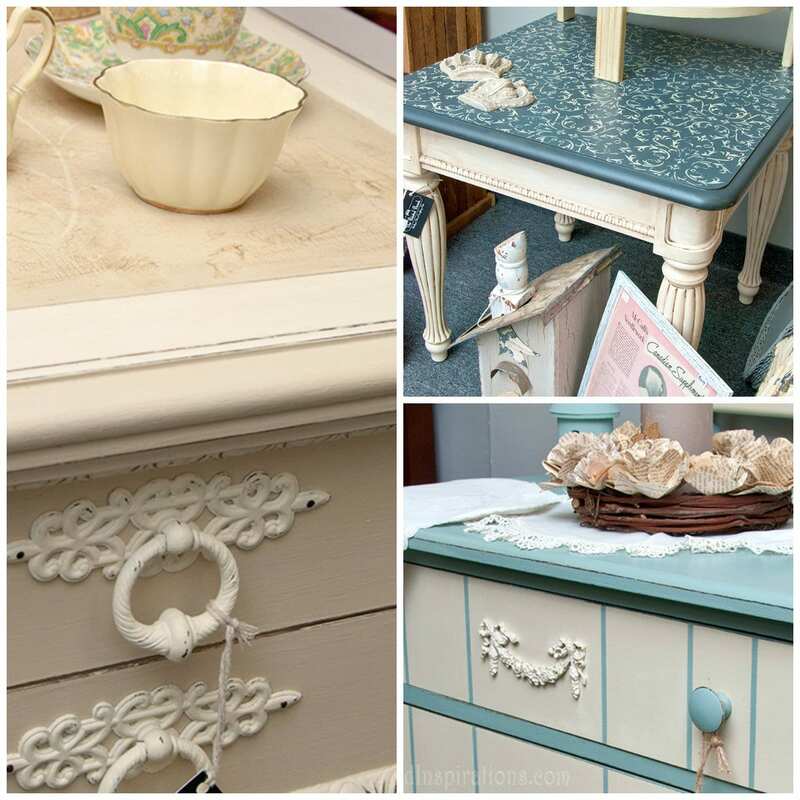 So if you’re in the market for gorgeous hand painted furniture, stencils, brand name chalk paint/milk paint, or any other painting supplies, drop on by and visit The Painted Bench. I guarantee you’ll walk out inspired! 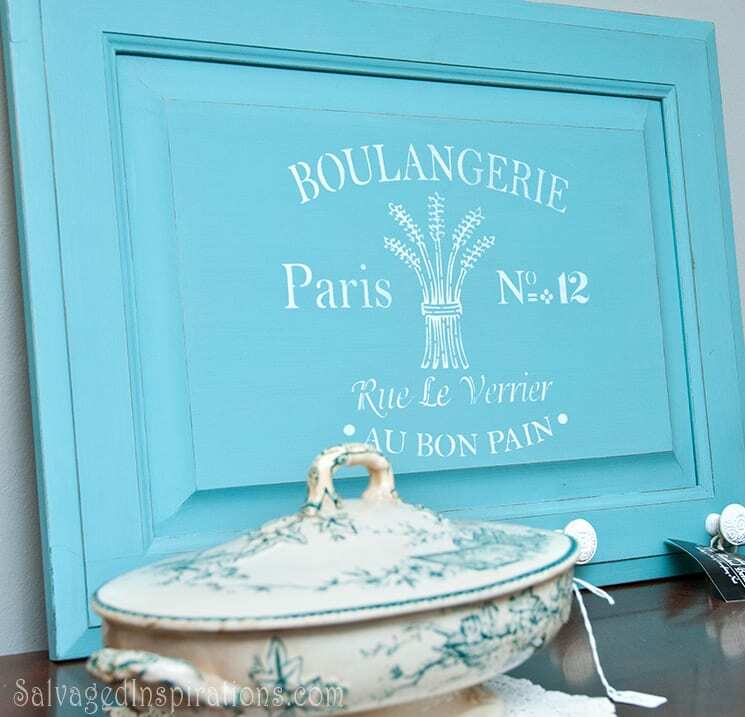 Decor on a Dime also stocks the milk paint you mention and offers classes in how to use it. I am happy to learn about the Painted Bench – I’m going there today to grab some paint! Where are you located Rose? I know the Painted Bench now has 2 locations. 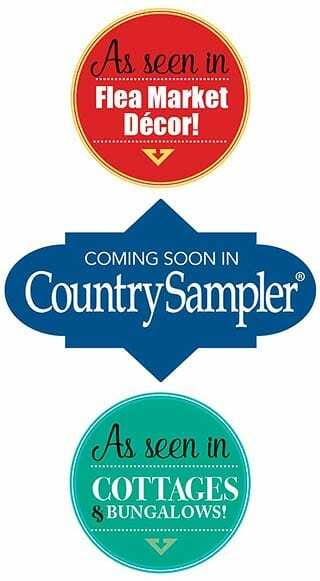 One in Hamilton and one in Oakville! I love visiting Ottawa Street, too! The fabric stores are amazing and since Melanie & Nicole are there, bonus! I don’t get there as often as I’d like (especially since I hibernate in winter) but they are wonderful women. I love visiting with them. With these extreme cold temps, I’ve been in hibernation too Debbie! Melanie & Nicole are great and I’m looking forward to visiting their new location in Oakville! Hi Linda! I’ve not had the time to try it yet. 🙁 I’m planning on using the milk paint on a raw wood coffee table (no bonding agent for my first time).and I will definitely post my results! Sorry to hear your cabinet is not turning out as expected but don’t give up. Once you get the hang of the wax, I’m sure you’ll love it! The trick to waxing is working in small areas, applying it thinly, then rubbing the heck out of it…lol. Hey Texas Girl! I’ve been through many of the states but never Texas… it’s on my hit list! ‘Pretend’ that the calcium carbonate is a liquid. The recipe calls for 2 parts paint, 1 part cc. If you use 2 cups of paint, mix in 1 cup of cc. If you use a gallon of paint, use 1/2 a gallon of cc… just an example. Whatever you use, it’s a 2:1 ratio. If you need help, feel free to PM me any time Nadyne. I happened upon The Painted Bench today. ever since I got home I have been wandering around the house, leering at unpainted furniture and thinking of the beauty within!!! I know… I do a lot of “leering” too, lol, …the transformations are as limitless as your imagination! 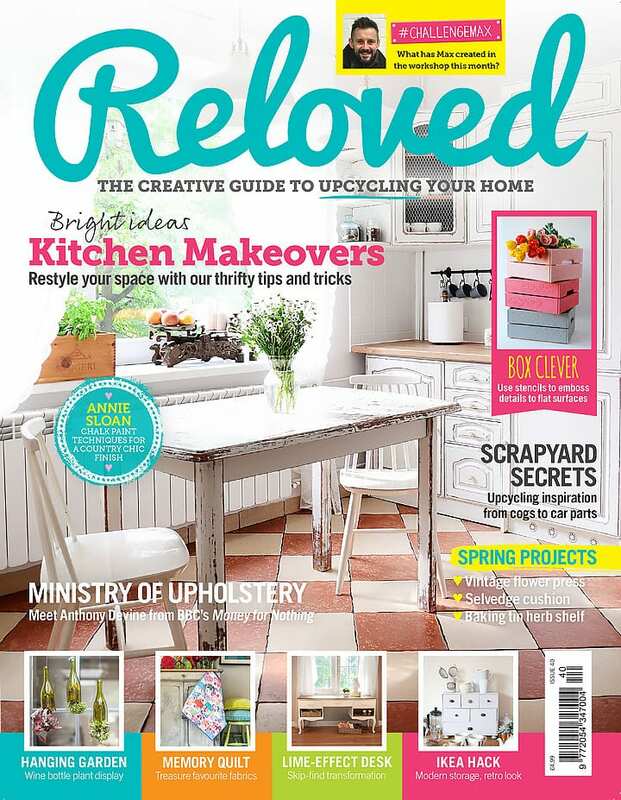 Thank you so much for such a lovely write up, Denise! We really enjoyed having you visit our store. Can’t wait to see what you create with the MMS Milk Paint!! Melanie and Nicole should pay you to write ads for them – great review!! 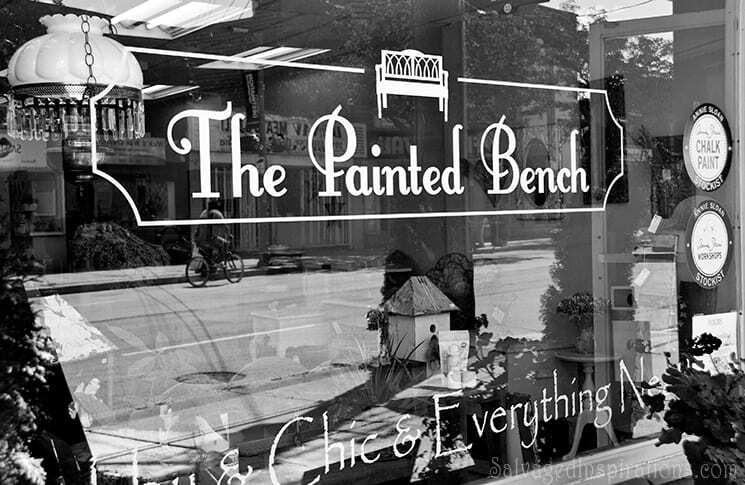 Every time I visit The Painted Bench, I’m impressed with their creativity and excellent customer service. 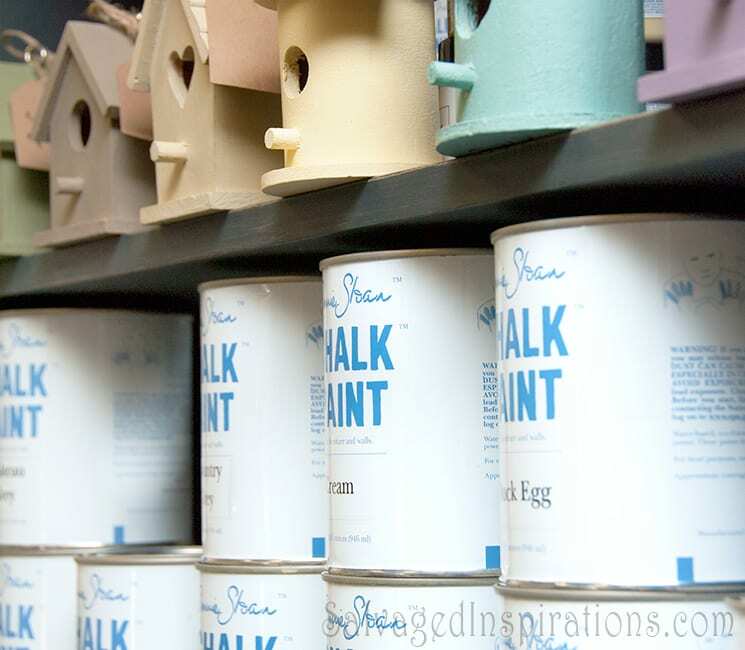 I get all my Annie Sloan Chalk Paint there (and I use a lot). Plus I’m honoured that they’ve asked me to sell my pillow creations there.